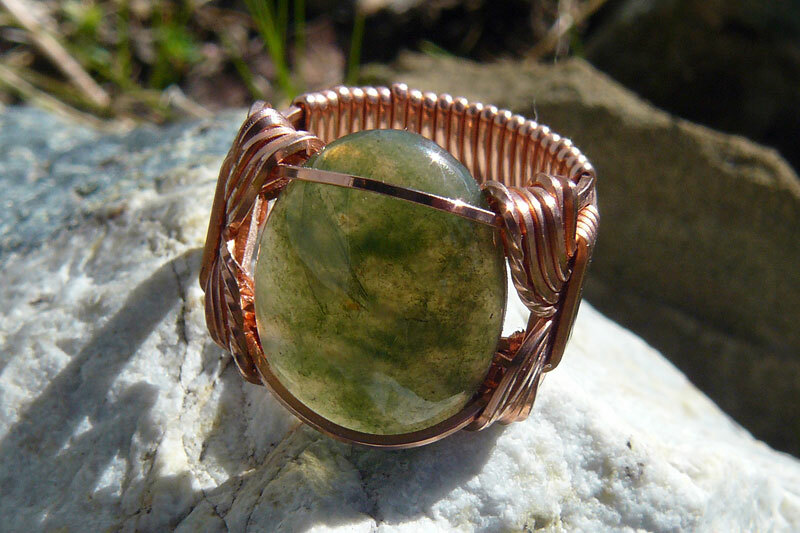 For the past few weeks, I’ve been working on wirework rings — a bit challenging, given the number of wires one has to control, all at once, but with a pretty nice result (I think.) 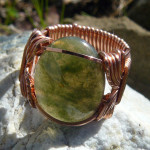 I made a few practice rings in copper wire, before attempting more costly metal. 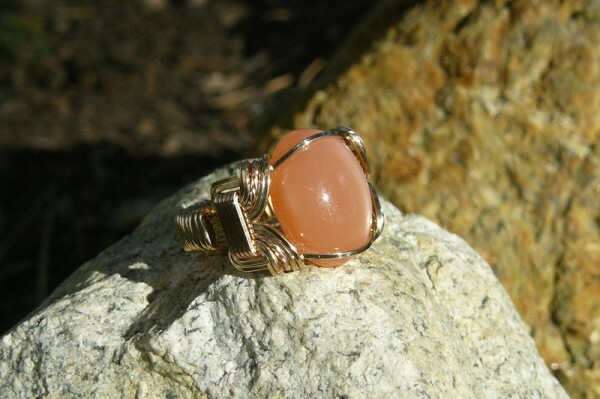 The below ring (a special present) is pink and yellow gold-filled wire, with a dreamy peach-colored moonstone I found in Tucson. Interested in a ring of your own? I take commissions!